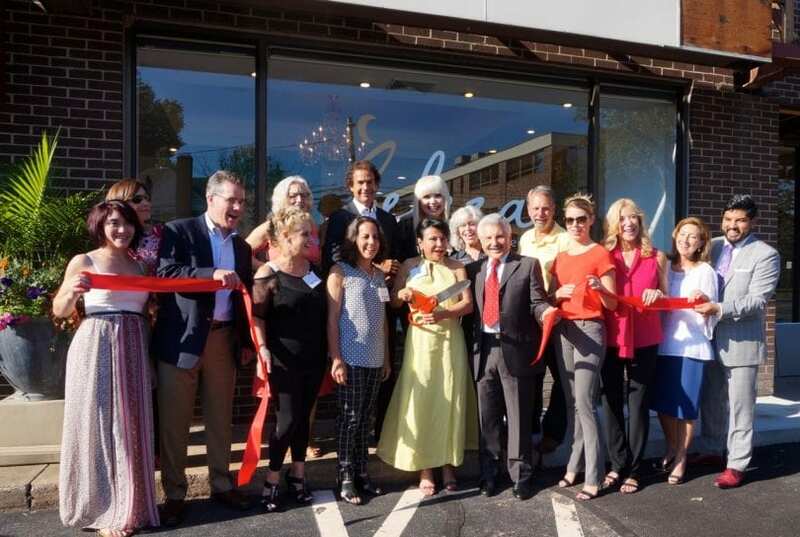 Nilce Conti has transformed the former Nelson Salon on Ellsworth Road in West Hartford Center into a full service spa with a wide range of services. 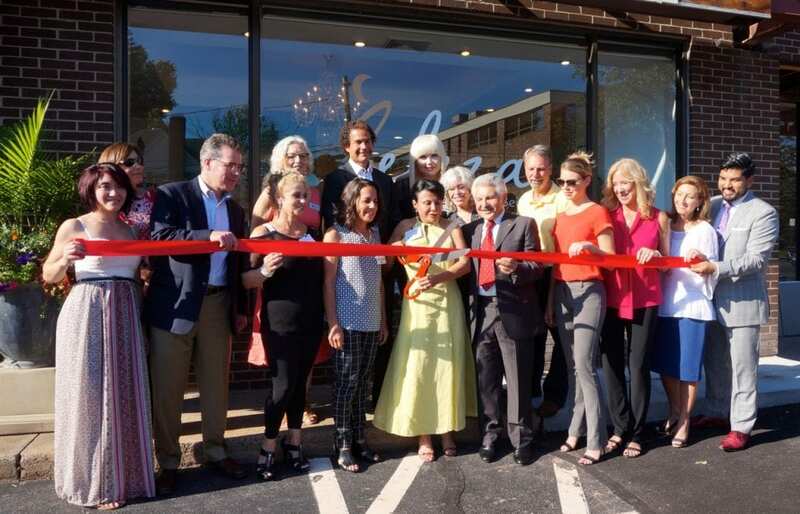 Nilce Conti held a pair of oversized scissors in her hand last week, and as she stood alongside members of the West Hartford Chamber of Commerce and town leaders, and cut the ribbon to officially open Beleza, she couldn’t hide her emotion and excitement about what she has created. 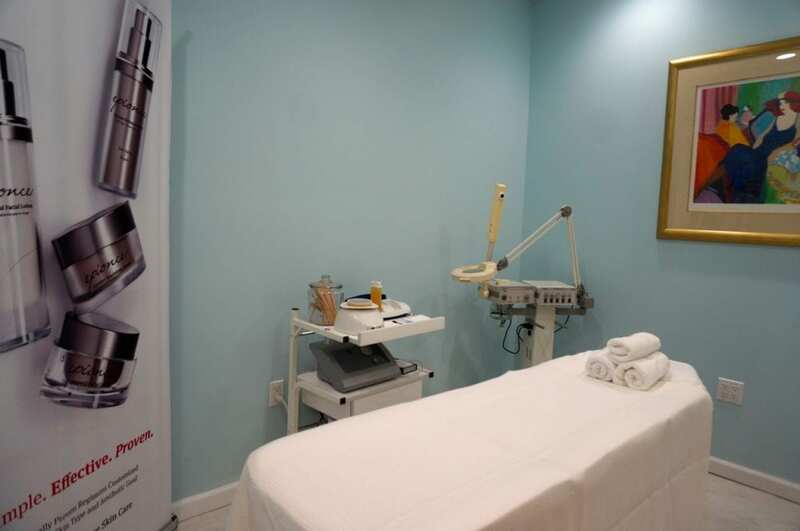 Conti has worked in the same space since Nelson Salon and Spa opened at 8 Ellsworth Rd. in 2010, and prior to that she had worked with Nelson Jimmo since the 1990s. Jimmo passed away unexpectedly just six months after opening the new location, and Conti said that three years ago she decided to buy the business. 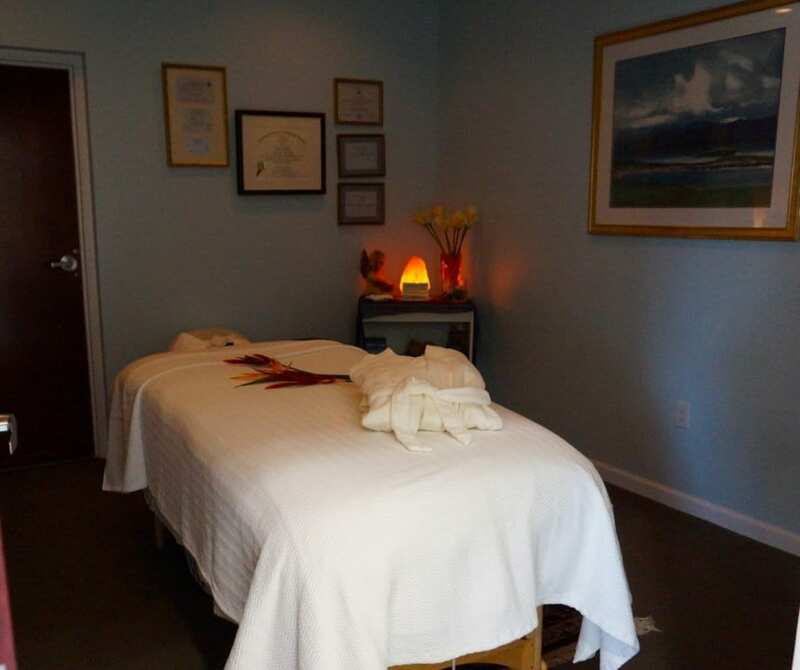 What she has created in the gleaming and modern, newly-renovated 3,000 square foot space is a full-service, comprehensive business dedicated to beauty and well being. Although there are also services for men and youth, there is a strong focus on women’s wellness. 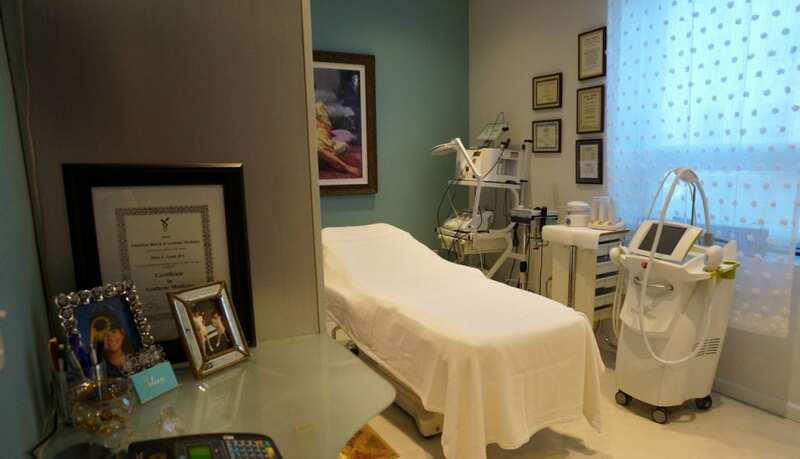 The staff includes Kerry Rausch, a board-certified nurse practitioner, who provides clinical advice as well as treatments including hormone replacement and other feminine wellness services. 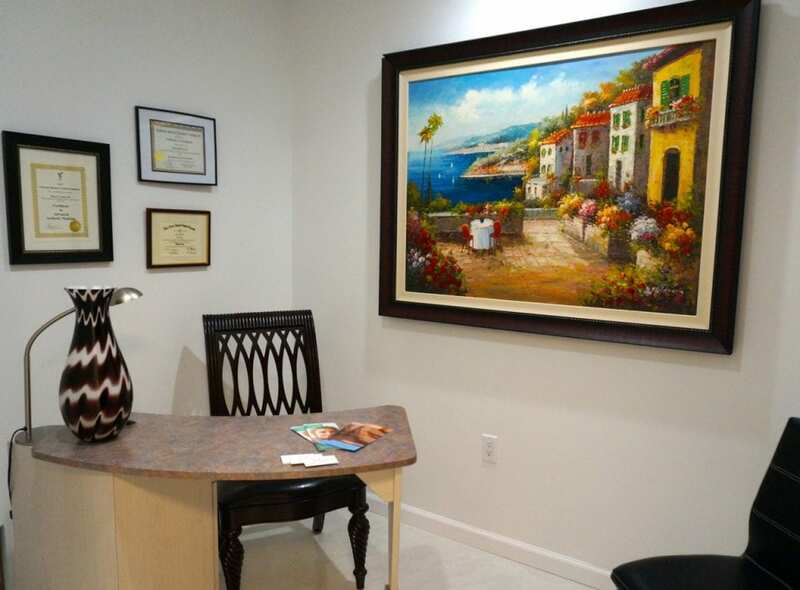 Beleza also offers an array of customized “well body” weight loss and nutrition programs. 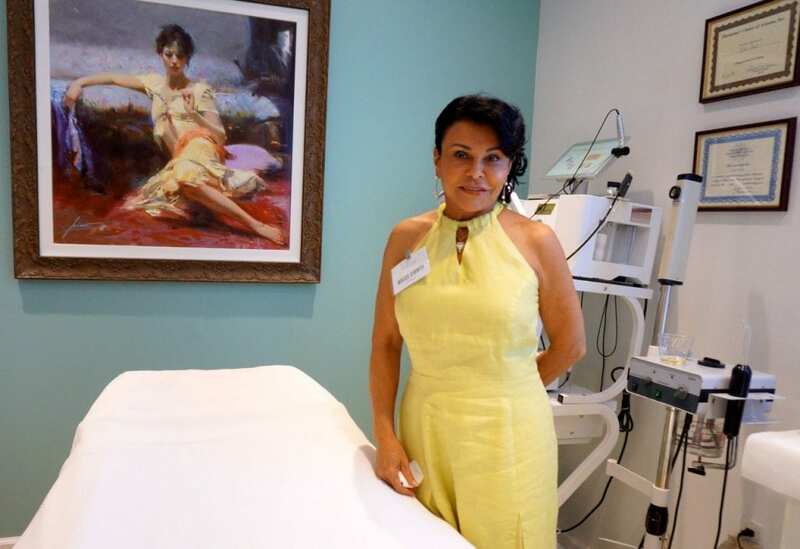 Conti herself has more than 40 years of experience as an advanced skin specialist, and Beleza offers skin rejuvenation services including VascuTouch, micro-needling, PRP, and Venus Laser Photo rejuvenation. 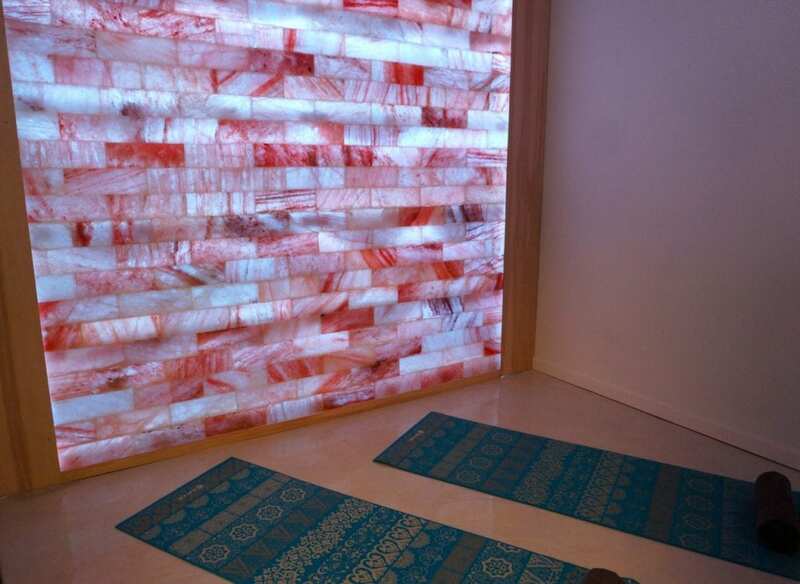 Beleza has a Himalayan salt room, where halotherapy is conducted. 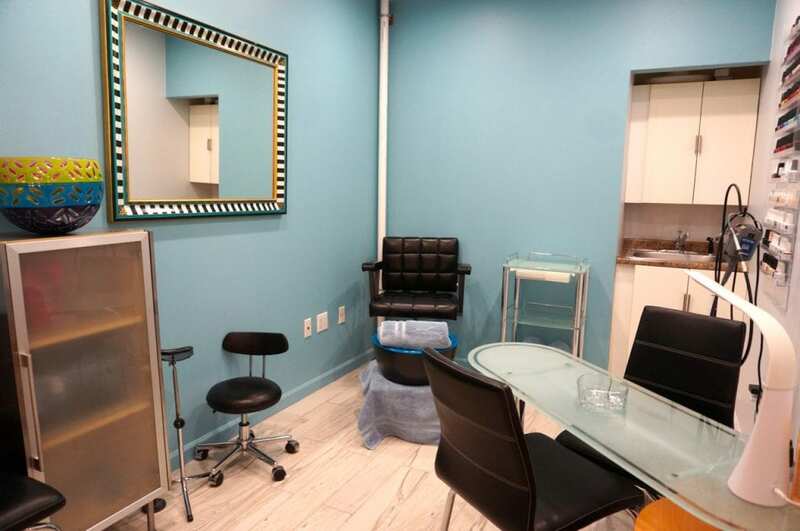 It’s also a great space for clients to have a massage, or take a small yoga class. 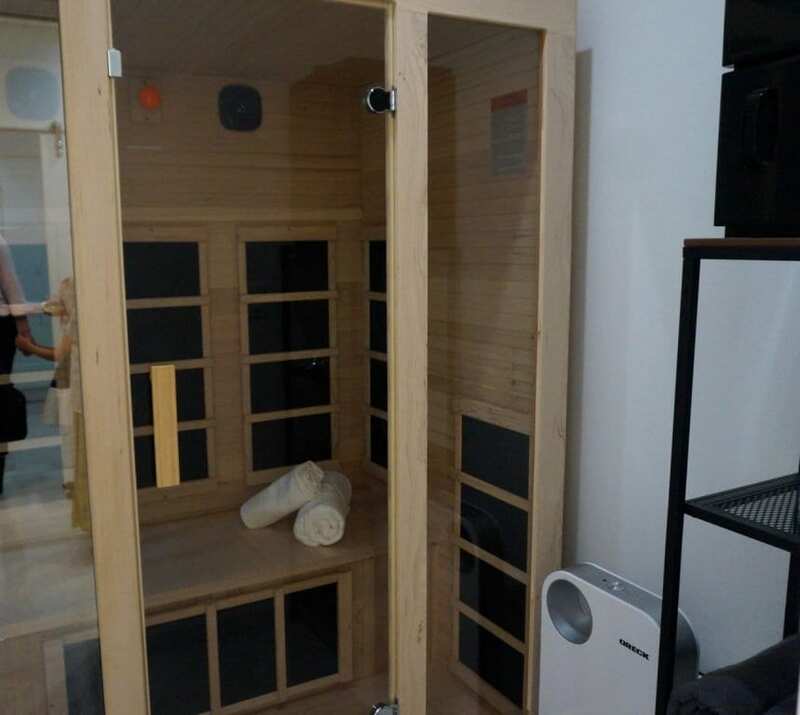 Other private rooms that Conti has added to the space include a dedicated office for consultations, and an infrared sauna. 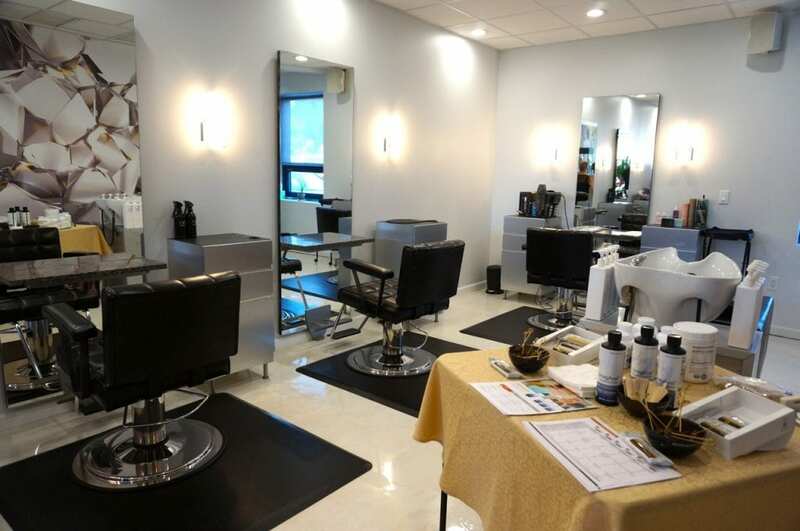 There’s a beautifully-redesigned area for manicures and pedicures, and three stations for newly-hired – but experienced – hair stylists who offer a full range of cut, color, and styling. Beleza also offers makeup services (including permanent makeup), lash extensions, waxing, laser hair removal, facials, and injectables. “We’re full service. 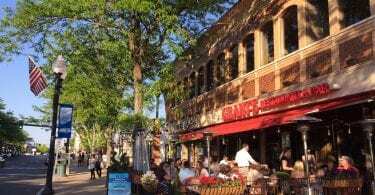 You can come here and have everything done in one place,” Conti said. The word “Beleza” in her native Portuguese means “beautiful,” Conti said. And the meaning extends to also indicate “joyful” and is used as a term of endearment, said Conti, pride and emotion clearly evident in her voice as she thanked all of those who have supported her. 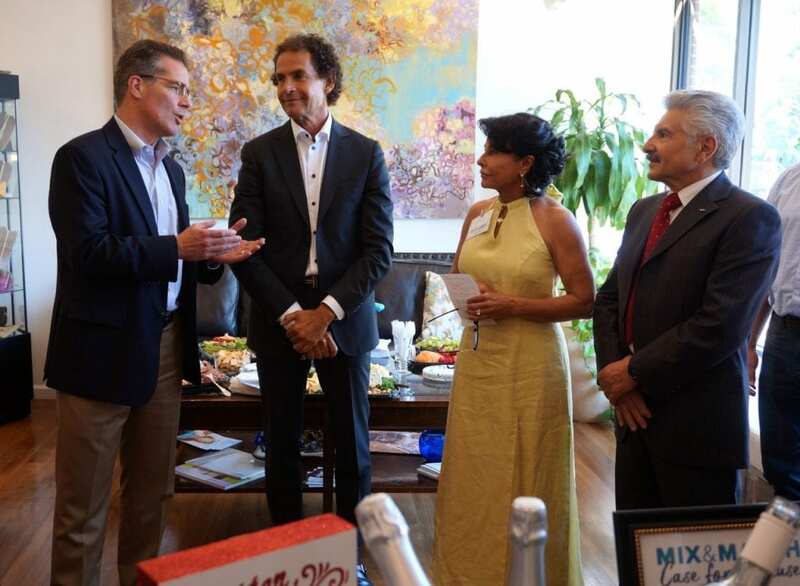 She thanked her husband, Michele Caponetto, as well as the “staff of beautiful, talented, gracious, and powerful women” who made the day possible. “We are very proud to have you here,” said Robert Udolf, who owns the building and recently moved his office to the fourth floor. “We really appreciate your investment, your continued investment in our community,” added Town Manager Matt Hart. A variety of grand opening specials are being offered at Beleza through Aug. 31. Appointments can be made in advance by phone, or online through the website. Walk-ins are also welcome. Parking is free in front of the building as well as in a lot in the rear. Beleza is available for “girls night out” and other gatherings, and custom appointments for those with challenging schedules can also be arranged.